Do you have to grocery shop twice or more because you have forgotten something for a recipe? How many times have you walked into Target intending to buy one bottle of laundry soap and left with a basket full of stuff and no laundry soap? Do you often feel frazzled because you have so many things to remember and it seems to rob you of any clear thinking?I am all of these things, and that is why my trusty spirals, mechanical pencils, and my digital calendar are my three best mom tools, and I use them to write EVERYTHING down. Being a mom is the greatest gift I have ever received. My sons are like to bright rainbows in my heart, and their smiles are my pot of gold. But the responsibilities that come with kids are many, and that once neat to-do-list of five items or less becomes substantial, like War and Peace written in bullet points. With the responsibilities of your job, your family, friends, and your home, chances are something will be forgotten. When moms don’t remember things they experience regret, remorse, and blame themselves. They will remember that forgotten signed 4th-grade field trip slip for the rest of their lives. 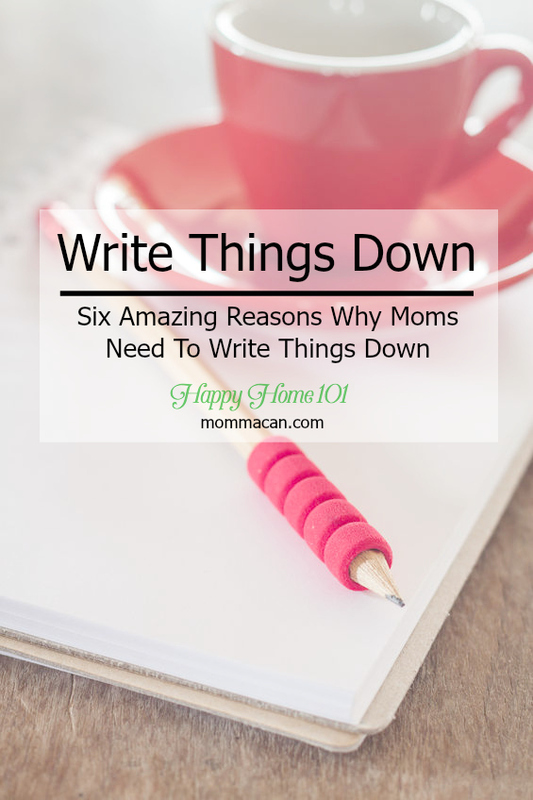 Writing things down helps busy moms keep the family organized and the house running smoothly. It is that simple! Because keeping a running list of shopping needs saves your family money. Keeping a running list of shopping needs and sticking to the list can help you save money at the grocery store and other favorite shopping spots. With your list in hand and determination, you can stay on budget! 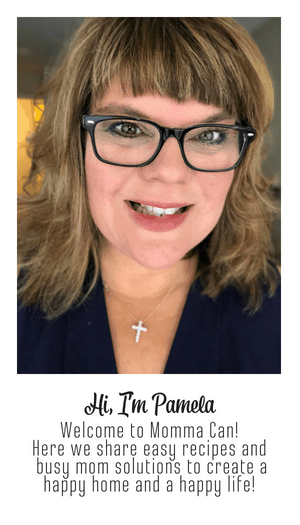 Staying on budget is a huge deal for anyone these days, but with growing families and the cost of a college education and day to day living expenses, it is a necessity. Daily and weekly responsibilities become more manageable when moms take the time to write a down a plan for the week review and update the plan each night before bed. Writing these responsibilities on a calendar or other tool is particularly useful when children start grade school and afterschool activities. In our house, no week is the same, and no day is the same, so I update it pretty regularly. Goals are more likely to be met if you write them down. Even the busiest moms in the world have goals, dreams, and wishes. Writing them down give you a chance to clarify and being the process of reaching those goals. 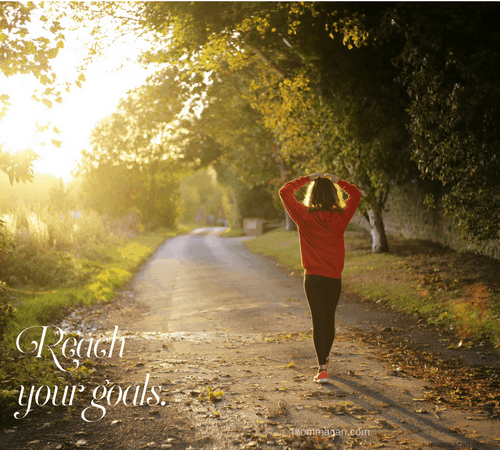 Studies say that clearly written goals have a better chance of being fulfilled. Reinforce these by writing down each morning what your goals are, keep it short and straightforward and enjoy the benefits of these easy way to focus. A study by Dr. Gail Matthews at the Dominican University of California discovered that committing to our goals, writing them down and sharing them held students gave them better accountability. Busy moms can take advantage of this study and commit to writing down goals and sharing them with peers for accountability. There is nothing like a solid half hour of spilling your beans on paper to get your head clear and you mind ready for a challenge. Gosh knows moms are challenged! Writing down your thoughts, experiences, and challenges each day can give you a bit of relief especially if some of these things have caused you hurt or stress. That paper and pencil can help relieve some of the worries, kind of like talking to a friend over coffee. 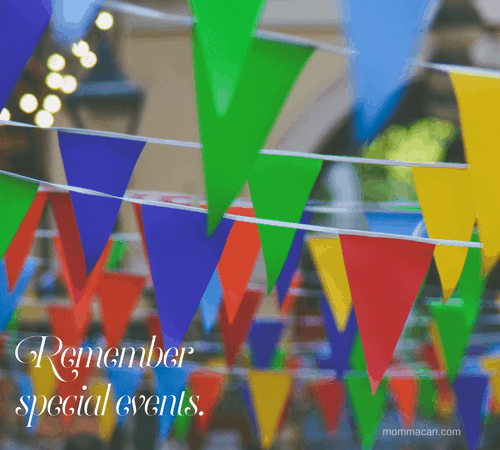 Writing helps busy moms remember important events in their lives so they can look back and reflect. Writing things down is a simple and convenient way for busy moms to stay organized, save money, keep their calendar up to date and keep memories in simple documents. A sturdy spiral near you desk, bed, and one in your purse are super economical and make it simple to jot down things you need to remember. I love this! I am a mom who has learned the importance of writing everything down. I know it’s not for everyone, but it definitely helps me remember things! I know lots can be said about electronic organizers. I personally much prefer paper lists. There is just a really nice feeling in writing. Check DONE. me too, my husband has everything on his phone. He can’t answer a question without consulting it. I love to write! This was a great post! I can relate even tho I don’t have kids. You can also call “writing things down” journaling. I found it beneficial when I did it & I wish I would go back to it. I also keep a running to-do list, which helps me sooo much. It’s so satisfying to mark things off. Pinned this. I don’t have any kids but I have always written lists. From my grocery list to a list of things I want to accomplish. I love the satisfaction of crossing it off once I have done the task. Fantastic post. Love this! Sometimes I’m really good at remembering things, so I usually think I don’t need to write it down. Wouldn’t you know I forget it? My best thinking times seem to be middle of the night when I can’t sleep and I come up with all kinds of great ideas, and then never remember them because I don’t write them down! YES to all of these!! 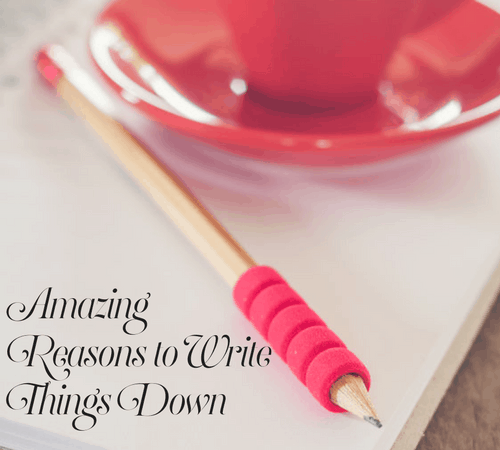 I have learned the importance of writing things down, and it has completely changed my life. Whereas I used to feel scattered and chaotic all. the. time, now I feel in control of my day and my future. It sounds hyperbolic, I know, but it’s true! Great post. So true. I really need to write more things down. I keep way too many lists in my head! So very true! I love writing things down, even with all of the technology at hand, it’s still good to make actual notes! Great post! I used to be the most unorganized mom ever, so I totally agree. Writing things down has made such a big difference for me! So true Pam. Every time I try to do things without writing them down I end up losing my train of thought or multitasking which is really bad because nothing gets done. I was just doing this right before I started reading. If I don’t write it down, there is an absolute huge chance I will forget…but like Melony, I am not too organized with it even though I own several beautiful planners. It is that desire to be organized that makes me buy them.